Matthew has 20 years’ experience as an urban water professional. With a background in urban hydrology and water resource management he has held roles in local and Federal government, consulting and academia. 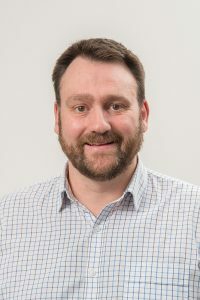 He has a demonstrated history of project delivery underpinned by technical excellence and an understanding of commercial business practices and public-sector operations. His experience encompasses integrated urban water management, water sensitive urban design, water quality modelling, water recycling, urban development and hydrological modelling. In addition, Matthew has extensive experience in scientific programming, software development and data visualisation. As the urban water research lead in the eWater CRC he led a collaboration with the consulting, research, and utility sectors to deliver new tools to support the assessment and comparison of alternative strategies for the planning, management, and operation of urban water systems. Most recently Matthew managed the Bureau of Meteorology’s urban water team. While in this role he successfully led the transition of the National Urban Water Utility Performance Reporting Framework from the National Water Commission to the Bureau—enabling state and territory governments to efficiently and effectively deliver on a National Water Initiative commitment. More broadly, Matthew’s role in delivering a National water information program has seen him develop an understanding of the urban water sector across all states and territories and levels of government. This has provided him with insight into the technical, institutional and policy challenges faced by the sector, and enables him to see complex challenges from the perspective of multiple stakeholders.